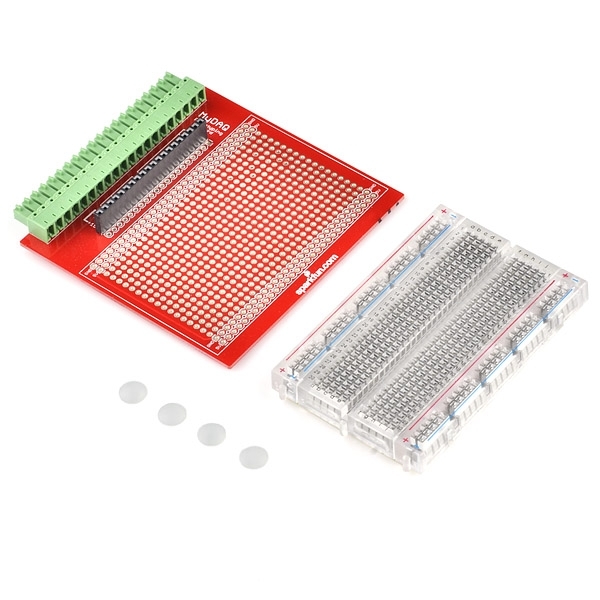 This kit is designed to connect directly to the National Instruments myDAQ measurement and control tool. 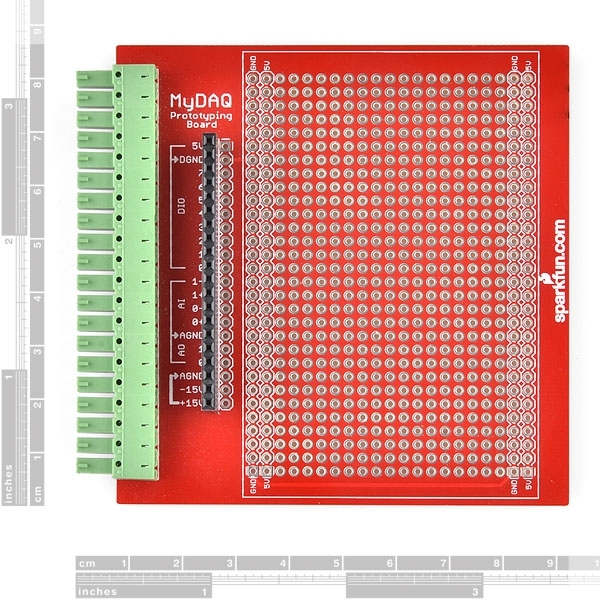 The board consists of a prototyping space with GND and 5V rails as well as each I/O line from the myDAQ broken out to standard 0.1" pitched headers. 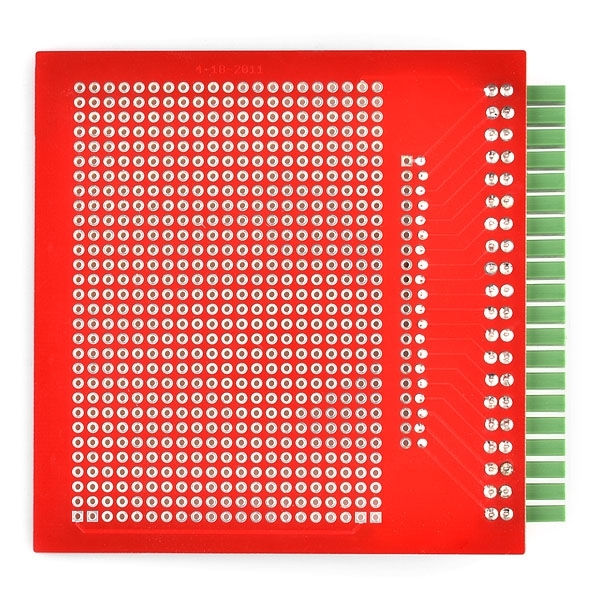 In addition, a breadboard is included with adhesive backing which can be mounted over the prototyping area for solderless prototyping. 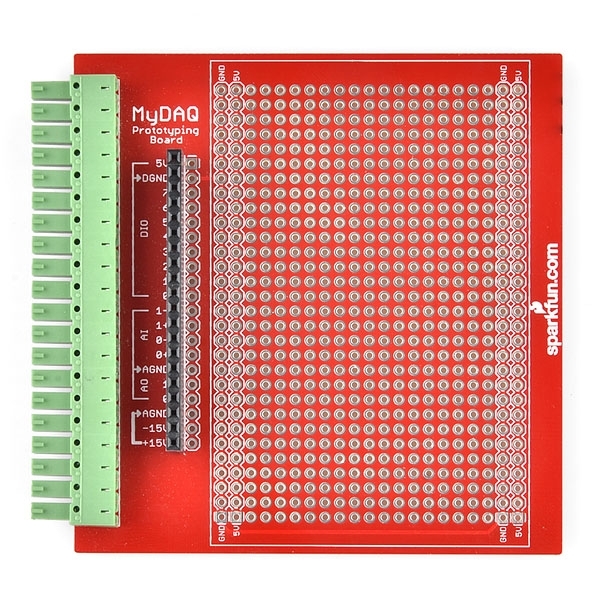 All of the myDAQ I/O lines are also broken out to female headers to make breadboarding with jumper wires simpler. 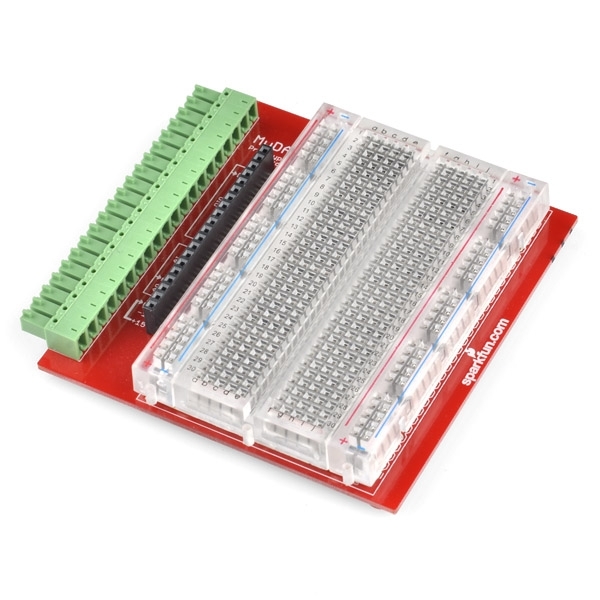 The National Instruments myDAQ is an affordable measurement and control tool that allows students to perform experiments anywhere. If you aren't familiar with it, have a look at the NI myDAQ website below.